18 well-equipped 3* superior apartments in an unbeatable location in Prague, just 1 minute walk from Charles Bridge, 2 minutes from the Old Town Square and 6 minutes from Wenceslas Square. The apartments are stylish and spacious, and are set in a grand apartment house. Choose from studio, one and two-bedroom apartments, with lounge/dining areas, fully equipped kitchens and modern bathrooms. 14 well equipped, refurbished apartments in a superb location, just 3 minutes walk from both the Old Town Square and Charles Bridge. Choose from studio, one, two and three-bedroom apartments, with lounge/dining areas, fully equipped kitchens and modern bathrooms. 6 excellent apartments close to the Old Town Square, Charles Bridge and Wenceslas Square. You cannot find more centrally located apartments! 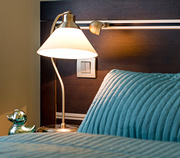 The 4* Old Town Husova Apartments are warm and stylish, and well equipped with fine, luxurious furnishings. Choose from one and two-bedroom apartments, with lounge/dining areas, fully equipped kitchens and modern bathrooms. 7 excellent apartments just 2 minutes from Charles Bridge and 3 minutes from the Old Town Square. 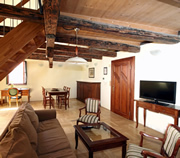 The 4* Old Town Krizovnicka Apartments are very spacious with high ceilings. 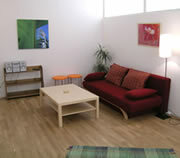 And they are beautifully furnished and stylishly decorated in warm bright colours. Choose from one and two-bedroom apartments (with 2 bathrooms), with lounge/dining areas, fully equipped kitchens and modern bathrooms. 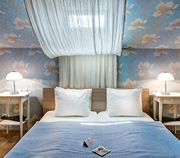 8 stunning apartments in the heart of the Old Town in Prague, close to Old Town Square and Charles Bridge. Very spacious, and equipped with high quality fixtures and furnishings that blend in with the historical style of the building - a 12th century former royal residence. Choose from studio, one and two-bedroom apartments, with lounge/dining areas, fully equipped kitchens and modern bathrooms. 6 excellent apartments in the heart of the Old Town in Prague, just 2 minutes walk from the Old Town Square & 5 minutes from Charles Bridge. The 4* Old Town Deluxe Apartments are newly renovated. Choose from one, two and three-bedroom apartments, all with lounge/dining areas, fully equipped kitchens and modern bathrooms. 5 excellent apartments located in the heart of the Old Town in Prague, just 1 minute walk from the Old Town Square & 2 minutes from Charles Bridge. 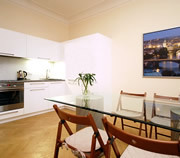 The 4* Charles Bridge Apartments are stylish and spacious, and well equipped with fine, luxurious furnishings. Choose from two and three-bedroom apartments, with lounge/dining areas, fully equipped kitchens and modern bathrooms. 22 well equipped apartments in an ideal location in the heart of the Old Town in Prague, just 3 minutes walk from the Old Town Square & 5 minutes from Wenceslas Square. 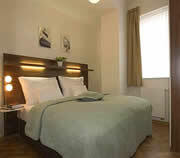 Choose from studio and one-bedroom apartments, with lounge/dining areas, fully equipped kitchens and modern bathrooms.